Learn about the different types of credit cards available. Shop around for the card that best suits your needs. Use your credit card, don't let your credit card use you. When credit cards were first introduced, there were only a few issuers offering a limited number of features. Nowadays, there are almost too many credit card products to keep track of. Because there are so many choices available, it pays to be an informed consumer. If you properly research the options available and carefully select the card that is most consistent with the goals, you will have a better chance of finding a quality product to serves your needs. All credit cards have detailed terms and conditions. While these disclosures that come with cards are often lengthy and written in “legalese”, you should read them as thoroughly, so you understand your obligations and what rights the bank has if you do not uphold your obligations. Because there are so many different types of cards on the market, let’s starts by examining the different kinds of cards available. You are likely familiar with bank credit cards, even if you do not know it. If you have a Visa or MasterCard , you have a bank credit card. Bank cards are issued by financial institutions, such as Bank of America, JP Morgan Chase or Capital One, and offer you a line of credit and a rate of interest on running balances. Bank credit cards are unsecured loan, which means that you are not required to offer any security or collateral , such as cash on deposit, a bank guarantee or equity in your home against the loan. If you default on an unsecured loan, the creditor can pursue collections on its own or through a collection agency. While a creditor cannot seize property from you or come after your wages or assets, they can pursue a civil judgment against you that could result in an order from a court to levy your wages. Bank credit cards can be divided into two categories, cards that offer certain special features to the consumer and cards geared towards certain kinds of people. If you do not pay off in full each month, your primary concern should be the annual percentage rate (APR), the interest rate the bank charges you for any unpaid balances. Low interest cards can come with a low rate that is fixed for the life of the card or one that starts off with a low introductory rate and adjusts to a higher fixed interest rate after a specified period of time. Make sure to review if the card comes with an annual fee. Shop around for the best deal you can find. A balance transfer cards allows you to move a balance from a current card to another credit card generally at a low interest rate. Usually, the balance transferred will be fixed at no interest or low interest for period of a few months to as long as 18 months. After the introductory period, the interest rate will adjust to a higher rate. The rate to which it adjusts can remain fixed from then on or be subject to further adjustments periodically. 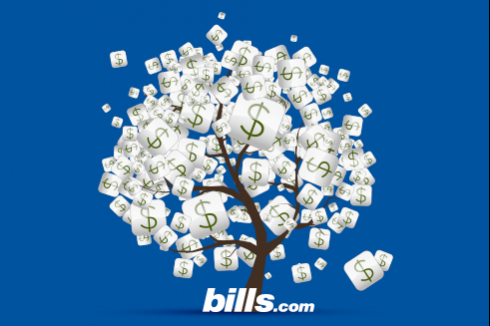 Consider whether you can pay off the entire balance during the introductory period. If so, you could save a lot of money. Also, pay close attention to the initial fee for the balance transfer which can be as high as 5% of the balance you are transferring. Different cards charge different fees. Again, shop around to find the best deal. There are many different types of reward cards, but all work on the same principles. Reward cards offer you an incentive for each purchase you make with your credit card. For each purchase you make, you accumulate points that can be redeemed for some kind of premium. The most popular form of reward card is one tied to airline miles. Your standard credit card purchases accrue airline mileage credits that can be applied towards a free airline ticket. Some cards banks offer are co-branded with an airline and some cards allow you to apply the miles you accrue to a variety of airlines. The level of bonuses and mileage accrual can vary from card to card, so evaluate various offers. Reward cards often come with an annual fee. If you choose a card with a fee, make sure you consider whether or not you are likely to accrue enough miles to earn a free flight. Also pay attention to how long the miles you accrue are valid, before they expire. Other kinds of reward cards can be focused on hotels or travel, tied to a specific retailer, offer cash back at year end for purchases on gas or rebates on general purchases. There are also reward cards that are tied to home improvement purchases or home-related purchases. If you have a mortgage with a bank, see if they offer this kind of card, as the rebates can sometimes be applied directly to your mortgage balance. If you own a business, you may want to have a credit card that is tailored for you. Business credit cards allow you to easily keep your business expenses separate from personal, simplifying your tax preparation. Also, some business cards have special perks and benefits not available on standard cards. Check with the bank where you do keep your business account to see what they offer. If you are a college student, you may have no established credit history, making it difficult to qualify for a standard credit card. There are specialty cards that are crafted and marketed for the student consumer. Proper use of this kind of card can act as a springboard to building strong credit for the future. Due to the fact students generally do not earn strong income, credit limits on student cards are not very high. If you are a student who is getting his or her first credit card, you need to exercise caution. Even though the credit lines are limited, many students take their first credit card and run up the balance beyond their means. Instead of a springboard to good credit, if you use your student credit card irresponsibly, it can be a first step to bad spending habits and a bad credit history. If no one will grant you credit and/or you have poor credit, a secured card may be the best way to establish or reestablish your credit history. A secured card requires you to pay money into an account the creditor controls. Your ability to make purchases is restricted to the amount you have deposited with the creditor. As you use the secured card and make timely repayments you will establish a positive payment history that will be reported to the credit bureaus. Aside from bank and financial service credit cards, there are store issued credit cards. Store credit cards are usually restricted to purchases made at the retailer that issues the cards. Examples of store cards include cards issued by department stores, furniture stores, jewelry stores, electronic stores and home-improvement stores. Purchases on some of these cards will come with a no-interest payoff period. For instance, you could charge $2,000 and as long as you pay it off in full within a specified period of eighteen months, there is no interest charged. However, if you do not pay it all off within the 18 months, you are then charged interest on the entire original purchase price, including all back interest accrued during the promotional period. Because interest on these kinds of cards is usually in excess of 20%, make sure to pay off the balance within the no-interest period. If you cannot afford to do so, it is likely an indication that you cannot afford the item you want to purchase. You probably are familiar with a debit card. A debit card is tied to the funds in your bank account. While it offers you the convenience of not carrying cash and carries the VISA or MasterCard logo, it is not really a credit card. If you do not have the money in the bank to cover your purchase, your purchase will be denied. There is a wide variety of credit cards in today’s market. Find the one that fits your needs. Shop around to find the card that offers you the best interest rate with the lowest fees that you can find. Do not charge purchases you cannot afford to pay for. Calculate the interest you will be charged by the time you pay off the purchase, before you buy something. Paying interest can greatly inflate the actual cost of your purchase, sometimes beyond what you feel the purchase is actually worth. Use the cards for your benefit, not for the bank’s benefit. Don't live beyond your means.